PF Olsen is currently harvesting for the second year in a row at Berriedale Farm in the Broomfield, Amberley area of North Canterbury, and the owner Will Morris specifically requested the same harvesting crew B&C Logging. 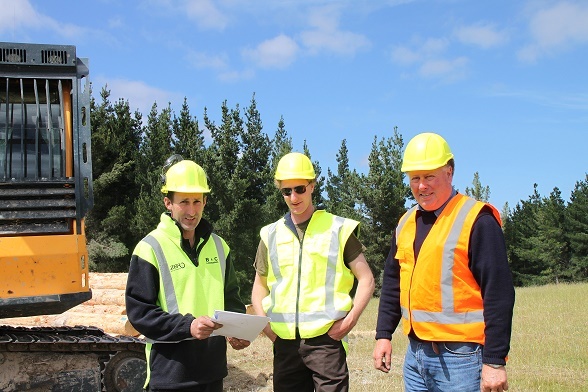 Jason Brooks the crew manager from B&C Logging has managed both operations and is very conscious of maintaining a good relationship with the forest owner. He believes this is achieved by good communication and setting very clear expectations at the start of the job. This block is being harvested with a Washington 88 swing yarder with a Falcon claw. This small yarder was purchased specifically for these type of blocks. It is economical to transport to the site and operate.